With it’s immaculate courses, Florida is a wonderful place to play golf all year round. 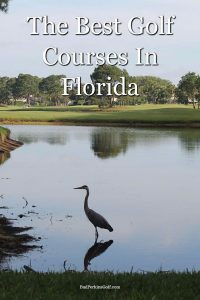 We take a look at some of the best golf courses in Florida. It’s hard to argue that the biggest states in America don’t have the best golf as well. California. Texas. New York. All host multiple PGA Tour tournaments and are home to incredible golf resorts. But those areas pale in comparison to the golf courses and resorts of Florida. With mild winters, Florida puts itself at the head of the pack for year-round golf by providing unique experiences at any time. For those looking for a golf getaway, Florida offers immaculate resorts that take care of both sides of the married couple. For the golf loving husband, these elite Florida resorts offer top notch golf, a mere stone’s throw away from the upscale room you’ll be staying in. For the wife, relaxing spas and salons await for a refreshing weekend. The cream of the crop in Florida golf resorts is the Streamsong. Located an hour southwest of Tampa, Streamsong has two of Florida’s top golf courses on the property, with a third opening in the Fall of 2017. Named simply as the Blue and Red, the third will be known as the Black. The two courses at Streamsong routinely find themselves on the list of the top public golf courses in America. The Red course is given the slight edge by the professionals but the Blue course is no slouch as both find themselves in Golf Digest’s Top 25 of America’s Greatest Public Courses. What makes both courses so unique is how the natural environment is integrated with the golfing experience. There are holes that share 75-feet sand dunes and link-style features that echo the best Europe has to offer. With green fees that start under $100 for Florida residents and resort guests, the Streamsong is quite possibly the best golfing experience in the United States. For those looking for a more modestly priced stay-and-play facility without skimping on the quality of golf, then the World Woods Golf Club is the place for you. Touting a world-class practice facility, the World Woods features two courses that steal from the best. At the Pine Barrens course, the Tom Fazio designed layout borrows heavily from the world famous Pine Valley course in New Jersey. But due to Pine Valley being exclusive and highly private, Fazio wanted to give the public a chance to play a Pine Valley-style course without the need for a secret handshake. The result of Fazio’s dream is a very entertaining layout that will provide a stiff challenge to the low-handicapper but the wide, inviting fairways will give even the weekend warrior an entertaining round. The second course, Rolling Oaks, is an homage to Augusta National, home to the Masters. Throughout the 18 holes, golfers will find the same Azalea bushes and large Oak trees that define Augusta National creating an experience that will have you recalling the great Masters victories of Tiger Woods and Phil Mickelson. In addition to the immaculate resorts, some of Florida’s largest cities host amazing courses for the public to play. In Tampa, the Innisbrook resort is home to the Copperhead course known as the host of the annual Valspar Championship on the PGA Tour. The Copperhead takes advantage of the natural terrain, especially the rolling elevation changes, and creates pristine fairways lined with native pine trees. Playing at over 7200 yards from the tips, the Copperhead gives the tourist a PGA experience for a fraction of the price. Known as the home to Walt Disney World, Orlando features amazing golf for natives and visitors alike. One of the clubs that continually draws attention is the Grand Cyprus Golf Club. The club hosts 45 holes of golf designed by none other than Jack Nicklaus himself. The other 27 holes are divided into three distinct 9-hole groups that offer variety and classic golfing. In West Palm Beach, The Breakers is the home to not only the oldest golf course in Florida but a renovated 18 holes overseen by Rees Jones. This combination gives the golfer a taste of history with a modern approach. The older course, known as the Ocean course, is drastically shorter than its brother The Breakers Rees Jones Course. This isn’t a slight in the least, as what the Ocean gives in distance, it makes up with in playability. The Ocean course demands precision and patience. With views of the Atlantic, this is a gorgeous experience. The Rees Jones course couples the longer tee-to-green layout with wide open fairways that allow the golfer to pull out the driver and let it loose. Finally, one of the most discussed golf courses in America is located in Ponte Vedra Beach, Florida. The esteemed Stadium course at the TPC Sawgrass hosts the annual Players tournament and is home to the infamous island green on the par 3 17th hole. The course is expensive and tough to get on without proper planning but the experience is well worth the trouble. Multiple tees gives the golfer of any skill level a chance to play with the pros or tackle a shorter, more pleasurable round. The reason you come to the Stadium course isn’t necessarily for the golf, although that’s great, but due to the history of Sawgrass. The cost isn’t extravagant when you realize how special the opportunity to play the Stadium course can be for the golf lover.